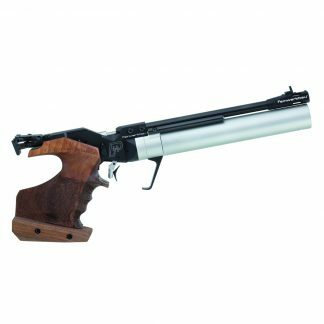 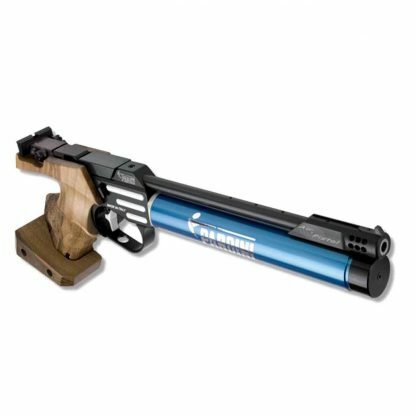 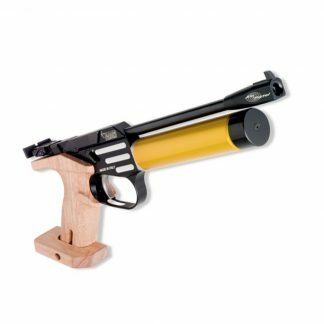 Single shot air pistol with a detachable cylinder for compressed air up to 250 bar.with the air pressure regulator inside of the pistol frame. 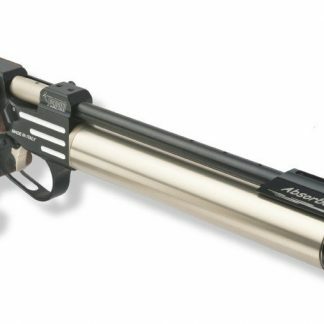 The pistol has fully adjustable, two-stage trigger and an easily accessible switch for Dry Fire. 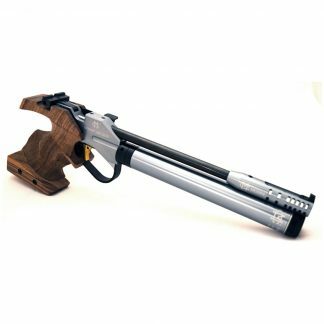 The light weight parts of the improved trigger mechanism ensure fast lock time. 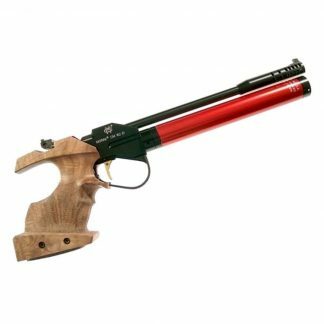 Anatomical, adjustable walnut grip, available in various sizes.